The oscillator routing can be switched between three radically different models, which is almost like having three different synthesizers in one - each model has it's own distinct character and sonic capabilities. The Scorpion is a virtual analog synthesizer - the circuitry is an original design, and the sounds are rich and expressive ... This is the Windows version, and includes both VSTi and DXi versions - the Scorpion is also available for for VSTi hosts on Mac OS / OS X platforms - see this page for a detailed product description, audio samples, screenshots and a free demo version. SFX Machine RT is a real-time VST format audio effects plug-in - the ultimate effects plug-in! SFX Machine RT comes with hundreds of presets, including conventional effects like choruses and flangers as well as a wide variety of unusual effects. The plug-in allows automated parameter control via a simple "MIDI Learn" interface, providing new dimensions of interaction that were impossible with earlier versions of the software. Download includes VST for OS 8/9 and OS X, and Audio Unit for OS X.
SFX Machine RT comes with hundreds of presets, including conventional effects like choruses and flangers as well as a wide variety of unusual effects. The plug-in allows automated parameter control via a simple "MIDI Learn" interface, providing new dimensions of interaction that were impossible with earlier versions of the software. Bass Chorus (free) is a full featured chorus / flanger (including thru-zero) with 4 modes, and an option to leave the bass frequencies of a signal alone - ie, only process the mids treble. This lets you create huge, wide bass sounds without sacrificing punch and focus. It's ideal for electric guitar and synth bass, but sounds great on anything that needs a chorus or flanger. Bass Chorus (free) is a full featured chorus / flanger (including thru-zero) with 4 modes, and an option to leave the bass frequencies of a signal alone - ie, only process the mids treble. This lets you create huge, wide bass sounds without sacrificing punch and focus. It's ideal for electric guitar and synth bass, but sounds great on anything that needs a chorus or flanger. Clone Ensemble (shareware) takes a solo vocal line, and makes it sound like a choir (in unison). An MP3 on the site demonstrates a 128-voice choir I constructed by singing 4 vocal parts. The plug-in can do the same trick for solo instruments, and makes a single-oscillator synth sound MASSIVELY fat. Die BlueLine PlugIns bieten eine unfangreiche Sammlung an Standardeffekten wie Phaser, Flanger, Chorus, Delay, param. EQ, Filter, Compressor und Reverb. Alle PlugIns sind als DirectX und VST-Version erhältlich und bieten eine einheitliche graphische Benutzeroberfläche. Ein Muß an Grundausstattung für jeden Cubase VST Benutzer! Die PlugIns sind Freeware, es steht aber eine uneingeschränkte Version zum Download bereit. Fender® Collection 2 draws inspiration from some of the most historic and iconic Fender amplifiers, adding a modern touch to the timeless classics and re-issues that fit and define a multitude of genres. 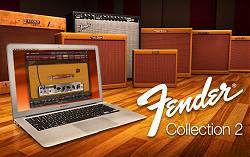 Fender Collection 2 captures the vintage vibe, feel and sound of Fender’s classic amps and puts them into your production toolbox on your Mac or PC. Playes both our Midi and mp3 Karaoke Files. You can select Font size and colour. Also if you want lyrics highlighted by syllable or swiped by letter. 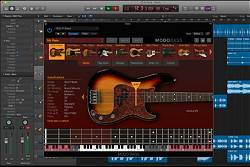 it allows you to edit and play microtonal scales and it is compatible with synthesizers supporting the Midi Tuning Standard and other formats, including Max/MSP. Miroslav Philharmonik 2 is a sweeping vision from a master artist embodied in a new virtual instrument that brings the orchestra to life. It’s not enough to just have good recordings of classical instruments. For a true symphonic experience, you need instruments performed by the absolute best musicians articulated in just the right way directed by a producer and conductor who knows the fine art of making living, breathing samples. Miroslav Vitous pioneered the concept of a complete symphonic sample library for real composers, and now he has taken it to the next level. Miroslav Philharmonik 2 is a sweeping vision from a master artist embodied in a new virtual instrument that brings the orchestra to life. It’s not enough to just have good recordings of classical instruments. For a true symphonic experience, you need instruments performed by the absolute best musicians articulated in just the right way directed by a producer and conductor who knows the fine art of making living, breathing samples. Miroslav Vitous pioneered the concept of a complete symphonic sample library for real composers, and now he has taken it to the next level.